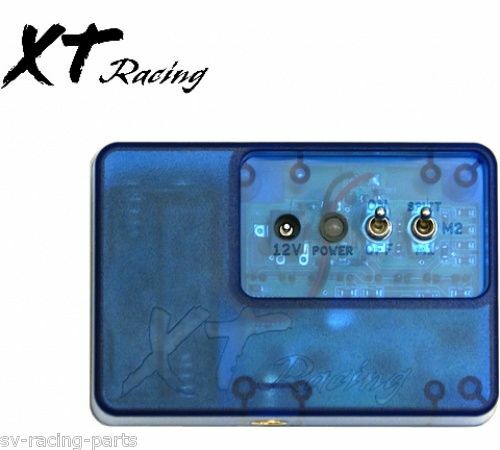 Racer Designed, XT Ultra-Lap - Mini-Lap Transmitter Beacon. Bright blue for easy visibility. Extra powerful transmissions with 8 infrared LEDs. Runs on either 4 internal AA batteries (not included) or an external 12V lead-acid battery for extra long life and extra power. 6' external power cable (included) with alligator clips for quick and easy connection to a lead-acid battery. Low battery indicator blinks green when batteries are good, red when batteries low.